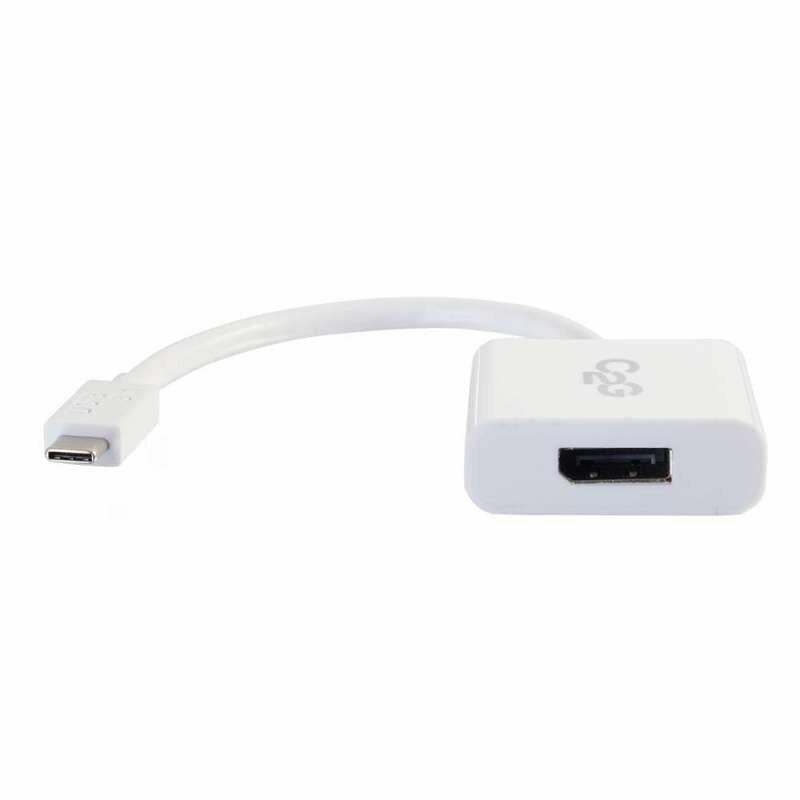 Experience 4K ULTRA HD displays with this USB-C to DisplayPort Adapter Converter which allows you to connect the USB Type-C port of a laptop, Chromebook, tablet or other source device to the DisplayPort input of a monitor, projector or HDTV - making it an ideal solution for showing presentations, pictures or other audio/video content. This adapter supports up to a 4K (3840x2160 at 30Hz) resolution, allowing it to deliver high-quality, ULTRA HD video image to the connected display. The compact design of this adapter makes it a perfect pair for BYOD (Bring Your Own Device) applications in education or corporate environments. The USB-C connector is user-friendly and has a symmetrical design which is identical on both sides, which means it does not matter if you plug it in upside-down or right-side-up - it will plug in the first time, every time, whilst preventing damage to the connector port. Pairing this device with the USB-C to VGA adapter or the USB-C to HDMI adapter provides you with a video port for any situation whilst presenting.